Observation - Lupin the Rabbit - UK and Ireland. Description: Another rabbit in our garden. Named Lupin as he/she seemed to enjoy chewing the plant! Mum chased it off! 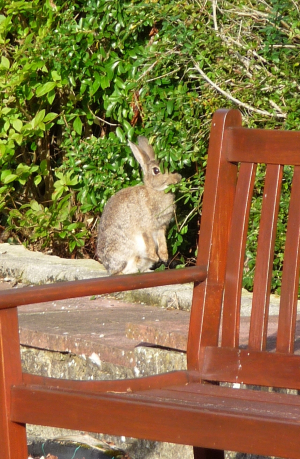 Another rabbit in our garden. Named Lupin as he/she seemed to enjoy chewing the plant! Mum chased it off!